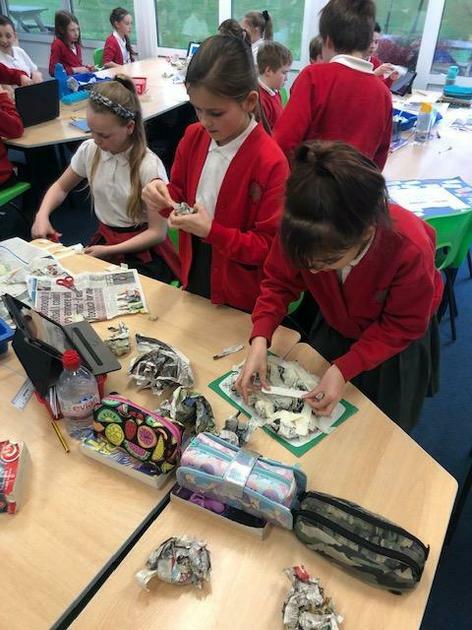 We have been studying mountain ranges and worked in groups to make a model using newspaper and mod-roc plaster. We used an atlas and google earth for our research and were pleased with the results! 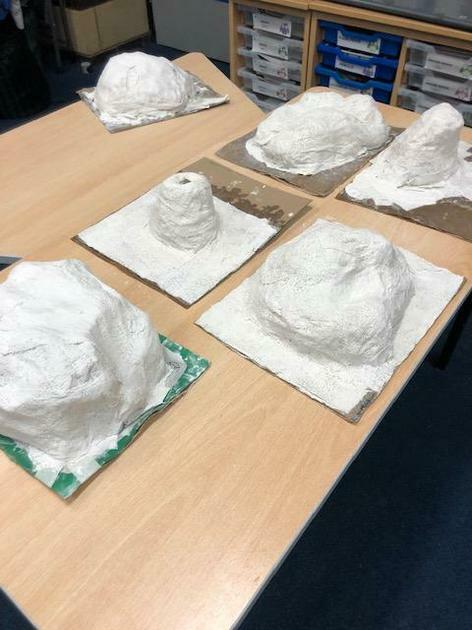 We will be painting them after half-term. We had a visit from Henry Beaufort's Maths teacher - Mrs Humphreys - who taught us about ratios. We were shown different methods and bar models to help us. It was fun to be taught about a mathematical concept using real life scenarios. We have been using concrete resources to help us with our maths. 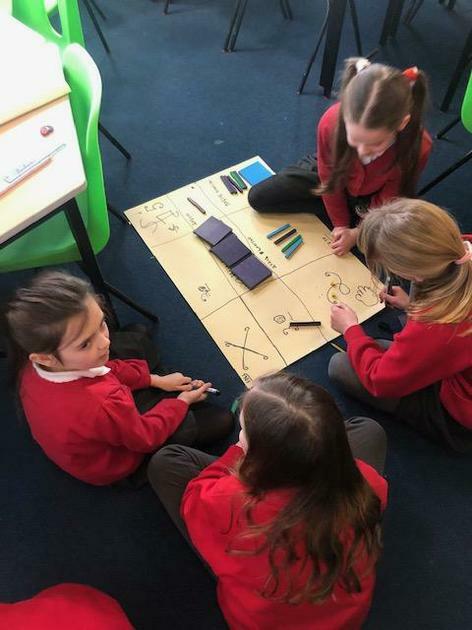 We've used dienes whilst solving multiplication problems on a grid. This has really helped us to understand how to multiply 3 digit numbers by 2 digit numbers. Last week, we were inspired by the work of Alexander Calder and used wire to create different sculptures. Firstly, we ventured outside and explored our school grounds for things that would be interesting to use in a sculpture, along with pipe cleaners and beads. After that, we used wire to create an outline of our own face then continued to form our features with the remaining wire. It was trickier than we thought but each sculpture was unique and unusual! They are now hanging in our classroom. Year 6 visit the Royal Hampshire Regiment’s Museum in Winchester. The link below takes you to their website write up from the day. Year 6 were lucky enough to be invited to the Royal Hampshire Regiment’s Museum to learn about the Gallipoli campaign. It was a fascinating day where we became reporters, empathised with the soldiers who were involved and learned a lot of facts. We are looking forward to our next visit in the summer term! It was interesting to take part in the life bus lesson on making difficult decisions. 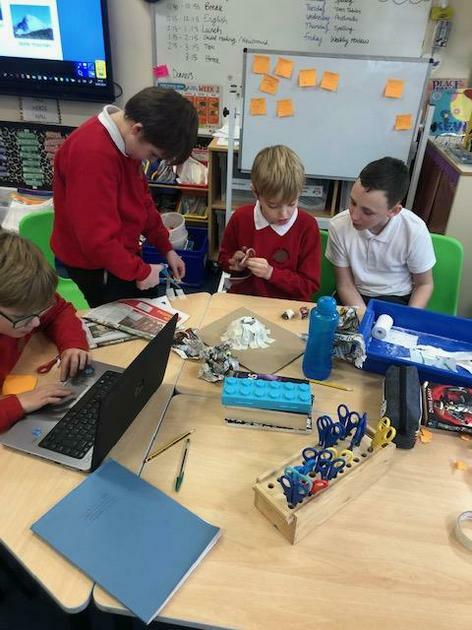 We discussed how we could deal with different scenarios that we may be faced with In the future and talked about the risks involved with certain drugs and medicines. This week we have been reading the book 'Where the poppies now grow' in English, which is a poetic story about two friends who join the army in WW1 and we are taken through the war with their friendship. It taught us about Remembrance and made us think about questions we might have for soldiers from the time. 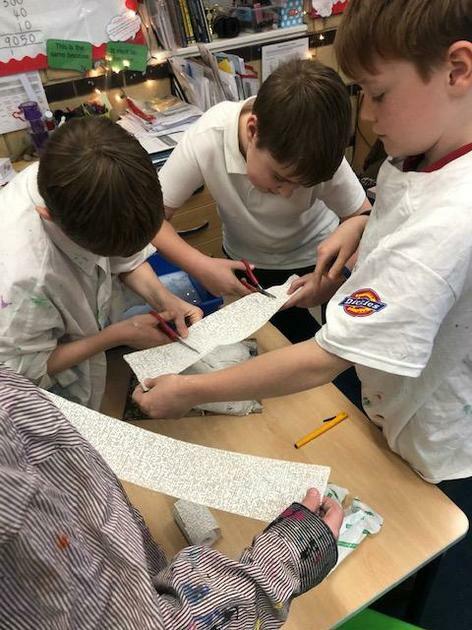 We have written letters to the 'Unknown Soldier' whose statue stands outside Winchester Cathedral and look forward to sharing these with you in our class assembly next Friday (5th October). In addition, we each made a poppy and created a class wreath, that will be taken to Winchester Cathedral when Year 5 visit next month. We were also lucky this week to have a visit from the Hampshire Fire Service, who told us about testing our home smoke alarms, fire safety and being careful on the roads with our mobile phones and traffic. It was really interesting and surprising to hear some of the information and we talked about ways that we can keep ourselves and our families safe. For the last couple of weeks we have been settling into Owl class and getting familiar with our classroom routines. It has been nice to get to know our classmates as well as doing lots of learning! Our focus in English has been biographies and we've learnt a lot about Michael Morpurgo and Philip Pullman's lives. On Thursday 13th September we celebrated Roald Dahl day and wrote fictional biographies for his characters. 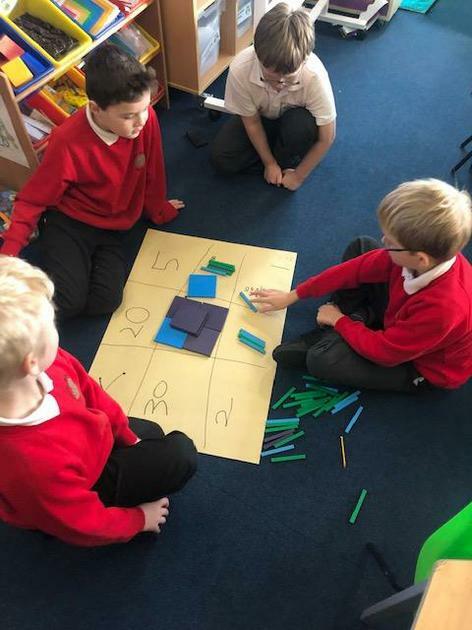 In Maths, we've been exploring place value and how we can represent numbers as Roman numerals. Our new learning wall is really useful to show our class' mathematical learning journey. We are looking forward to showing you all of our learning in our class assembly (the first class of the year! ).